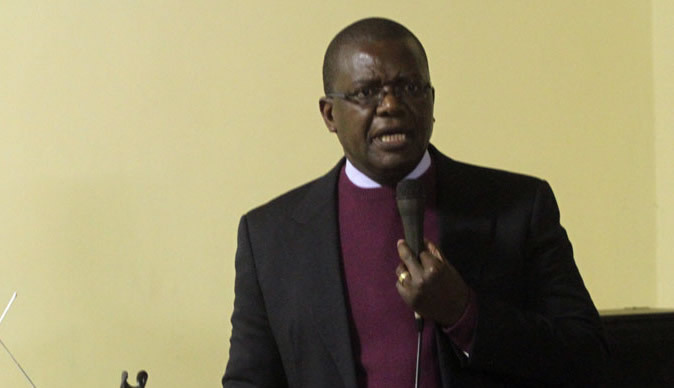 Trevor Ncube,Cain Mathema clash over demos. Media mogul Trevor Ncube has clashed with Minister of Home Affairs and Cultural Heritage over the later s statements that the government will crush any demonstration organised by the opposition. MDC Leader Nelson Chamisa has been calling for a nationwide shutdown following his loss to President Mnangagwa in the August plebiscite. "We are aware that there are some political leaders and civil organisations that are agitating for the unseating of the constitutionally elected Government of Zimbabwe through demonstrations. "May I, therefore, reiterate that the Government has put the necessary security measures in place to ensure that law and order is maintained and anyone who is found inciting violence, intimidating people going about their business, advocating for illegal gatherings and influencing civil servants to go on strike, will certainly face the full wrath of the law." Responding to Mathema s statements, AMH Boss Trevor Ncube said," Minister Cain Mathema, Public protests are part of a vibrant democracy. Democracy by nature is sometimes noisy and messy. Your role is to ensure protests are peaceful. Provide protection for the peaceful protesters , private property and members of the public." Mathema said police will hold convenors of any demonstrations liable for any damage that might occur. "Law enforcement agencies will not hesitate to hold convenors of illegal gatherings or demonstrations responsible for any ensuing disturbances which include violence and destruction of property in the country, particularly in the central business district (of Harare)."